Using a multiple-case embedded research design (Yin, 1994), this study examined the nature of teachers’ learning during technology professional development activities and the extent to which their subsequent technology-supported pedagogy was innovative. Four English language arts teachers, who ranged in teaching and technology experience, served as contrasting case studies. Results suggested that the power to develop innovative technology-supported pedagogy lies in the teacher’s interpretation of the newly learned technology’s value for supporting instruction and learning in the classroom; learning experiences grounded in content-based, technology examples were most effective toward this end. Furthermore, teachers with less professional knowledge (e.g., pre-service or novice) and/or less intrinsic interest in identifying uses for technology may need guided or collaborative, content-specific technology learning opportunities, while teachers with more professional knowledge (e.g., veteran) may be able to develop innovative technology-supported pedagogy by bringing their own learning goals to bear in professional development activities. Collaborative, subject-specific technology inquiry groups are proposed as professional development that supports all teachers’ learning to integrate technology into their subject areas. Hughes, J. (1997). The Role of Teacher Knowledge and Learning Experiences in Forming Technology-Integrated Pedagogy. 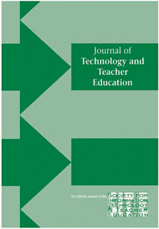 Journal of Technology and Teacher Education 277-302. Charlottesville, VA: Society for Information Technology & Teacher Education. Retrieved April 22, 2019 from https://www.learntechlib.org/primary/p/4622/. Pablo Muoz Carril, University of Santiago de Compostela; Mercedes Gonzlez Sanmamed, University of A Corua; Nuria Hernndez Sells, Centro Superior de Estudios La Salle.